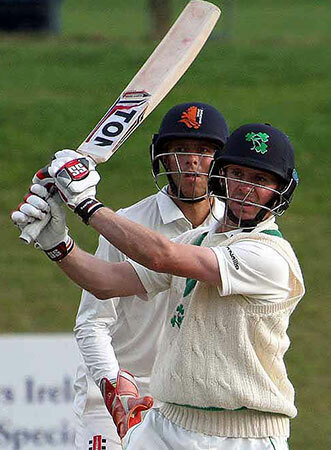 Ireland Head Coach Graham Ford has backed William Porterfield to remain as captain despite his recent poor form for Ireland. The 34 year-old has been at the helm since 2008, leading the side an incredible 243 times (125 wins) since taking over the reins from Trent Johnston. Questions have been raised about not only the Donemana's leadership qualities, but also his place at the top of the order, which has seen him averaging just over double figures in the last 12 matches. Ford says the Selection Committee will decide if 'Purdy' will keep the skipper's armband, but as far as he is concerned he's the best man for the job. "There is a selection meeting coming up to discuss the last tour. I can’t confirm either way, but for my money, he’s got so much to offer. If there was somebody you could tell me is smashing the door down to take his place and we have got a load of young players smashing out runs, then it’s a consideration. "If I look at last year’s interpros, he was the leading run scorer. A lot of the guys we talk about are talented, but they are not scoring the runs he scored. For now, it’s definitely not a consideration in my mind. Selectors will have to get together and talk about it. "He’ll be the first to admit he didn’t perform and he’ll be working flat out to try and put that right. I have to say he brings a whole lot more to the set-up than just the runs that he scores. "While we are going through this process of trying to develop some younger match winners, he’s crucial to all of that because he has been a match-winner for a long, long time. "He sets such high standards for the groups. I have worked with a lot of wonderful, wonderful captains and it’s hard to find someone better than him. "We have got to get as much out of him as we can. He has a hell of a lot to offer. It’s one of those things. A lot of the guys we talk about are talented, but they are not scoring the runs he scored." Ireland face a busy May, with ODI's against England, Bangladesh, West Indies and Afghanistan scheduled.